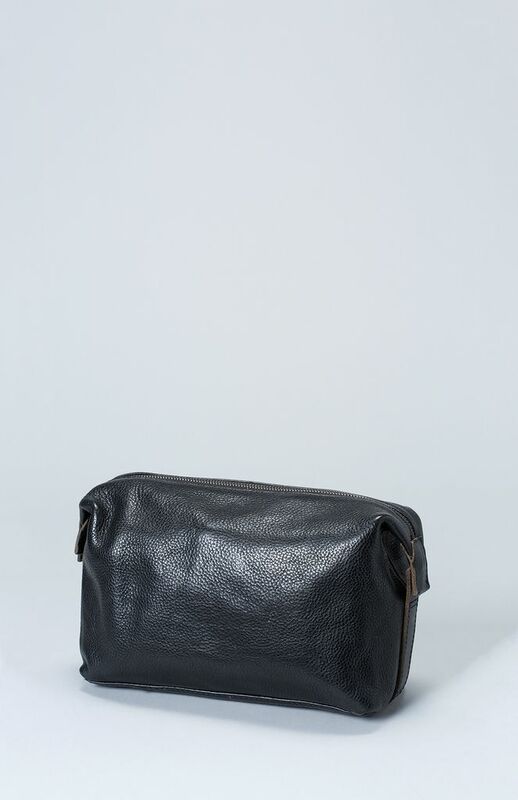 Made from durable vegetable tanned cow hide, the Reizen Wash Bag from our Mr Elk collection is available in classic black and neutral tan. 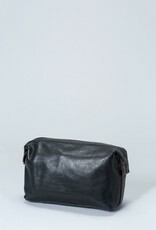 The inner is lined with easy-care black nylon. 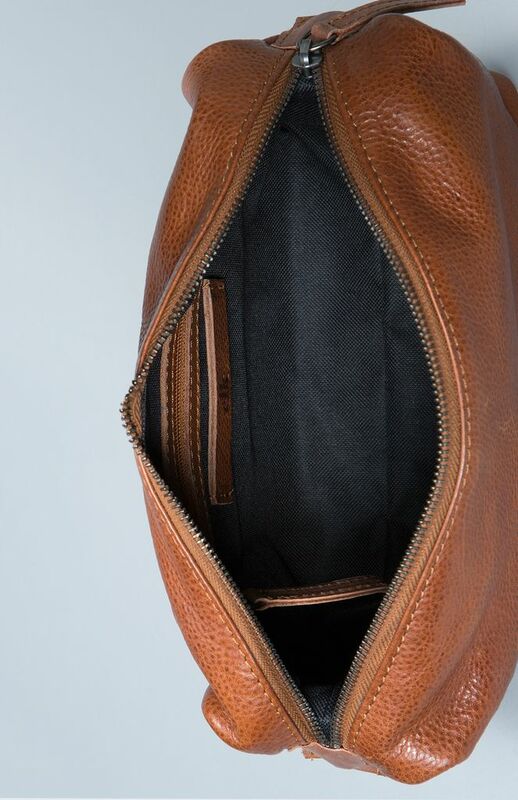 Featuring a main central zip and one internal zippered pocket, the bulk of the bag is unstructured leaving plenty of space for all of your travel essentials. 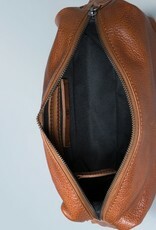 Each wash bag features a unique grain in the hide, which has been washed to highlight this unusual characteristic.